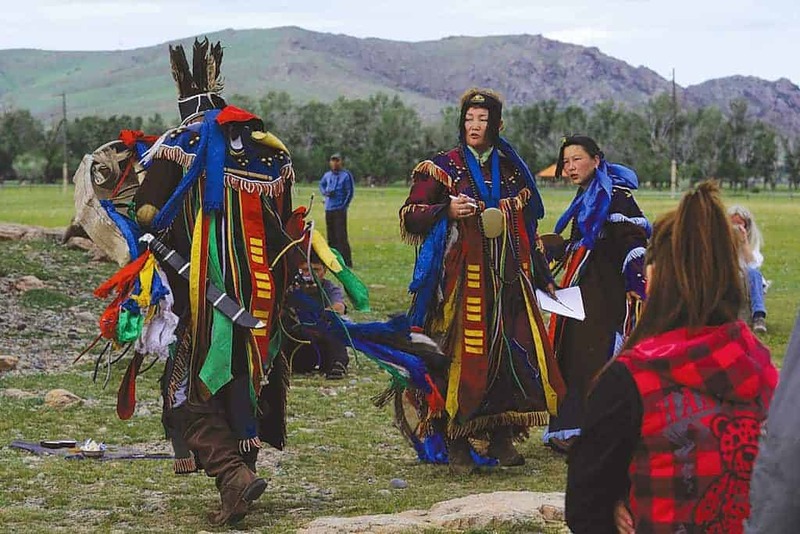 An extraordinary tour to the shamans of Eastern Mongolia, including the possibility to participate in their authentic and almost extinct rituals. In the morning arrival at Chinggis Khan Airport in Ulaanbaatar, transfer to the hotel, after breakfast short break, city tour including Gandan Monastery and Shaman Centre. After lunch we will visit the Choijin Lama Temple Museum within the city, dinner at the hotel. Today we drive east bound to the village Bayan Uul in eastern province Dornod, birthplace of the famous Buryat Shaman Zeren Bawai. On the way visitation of Chinggis Khan Statue Complex, you can admire the 40m high statue, which was designed in remembrance of the mighty ancestor of Mongols and the small freshwater lake Khukh Nuur, stay overnight at ger camp at Bayangol. Drive toward east to the Uglugch Wall, on the way Temple Baldan Bereeven. In the afternoon hiking to the wall and visit to the nomads family, to learn about their daily activities. Stay overnight in ecolodge. Today we will drive toward east through the fascinating landscape of the semi-taiga area to the birthplace of Chinggis Khan, Deluun Boldog in village Dadal Soum. 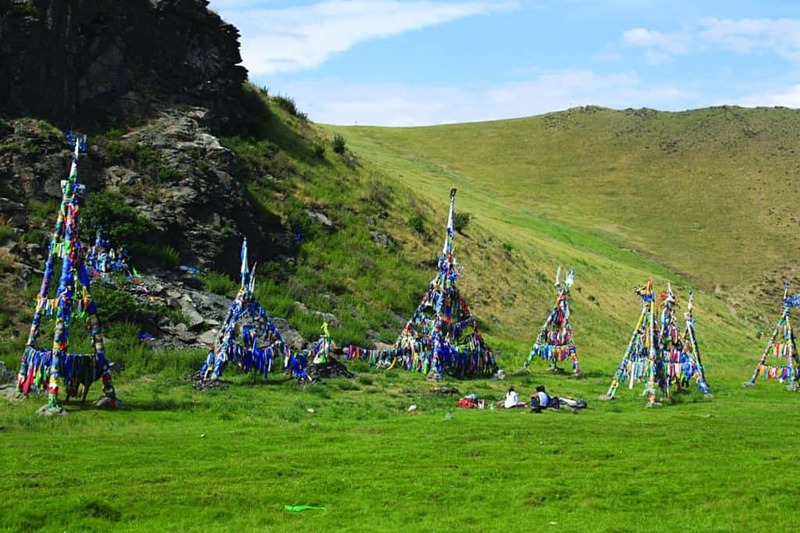 In the afternoon we will visit Chinggis Khan Monument from socialist period, mineral spring Khajuu Bulag, stay overnight at ger camp at the lakes Gurwan Nuur. Arrival at the Shaman Centre, where the shamans meet each other from May 22nd to September 22nd. Moreover, aspirants are nominated as shamans here every year. We experience the mystical art of these special persons. Stay overnight in ger at the centre. We will drive back to Ulaanbaatar. On the way the provincial town Undurkhan, stay overnight in hotel. Today we will drive in west direction to the nature reserve Gun Galuut, in the afternoon we will hike to the lake and visit nomadic family, stay overnight at ger camp. 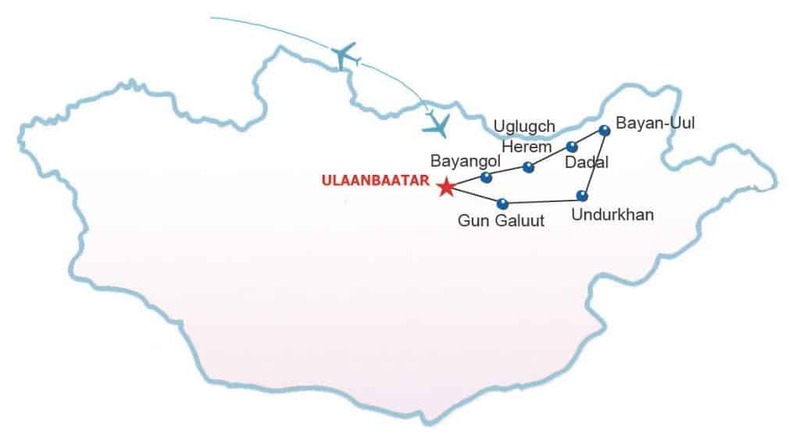 In the morning drive back to Ulaanbaatar, at midday arrival in Ulaanbaatar, free afternoon with the excellent opportunity to buy cashmere products and leather goods, Mongolian folk music CD or stroll in the city, stay overnight in hotel. In the morning, transfer to the airport and departure.